The Commission is carrying out an electoral review of Oxford City Council. The aim of the electoral review is to recommend ward boundaries that mean each councillor represents approximately the same number of voters. We also aim to ensure that the pattern of wards reflect the interests and identities of local communities as well as promoting effective local government. To achieve these aims, we need to re-draw ward boundaries across Oxford. Please note that due to the large number of submissions we received during our consultation on draft recommendations we will be holding a period of further limited consultation. This will involve our proposals for wards in the southern part of east Oxford. This consultation will run between the 6 November 2018 and the 4 December 2018. On 5 February 2019, we published final recommendations for future electoral arrangements in Oxford City Council. We have now completed our electoral review of Oxford. 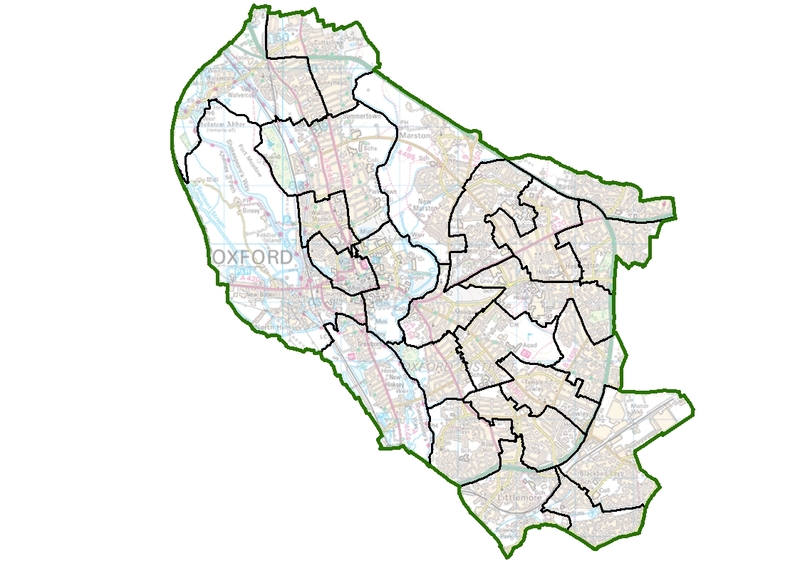 Final recommendations map for Oxford City Council - please note: this map is very large and may take some time to download. The draft Order will provide for the new electoral arrangements for Oxford City Council to come into effect at the local elections in 2020. The consultation on the Commission’s further limited draft recommendations for Oxford City Council closed on 4 December 2018. From 6 November 2018 to 4 December 2018, we are accepting opinions and comments (submissions) from the public on changed draft recommendations for Oxford City Council. The Commission has listened to the views of the public put to it during an earlier consultation, and now proposes to change its plans, to reflect the significance of the evidence we received. 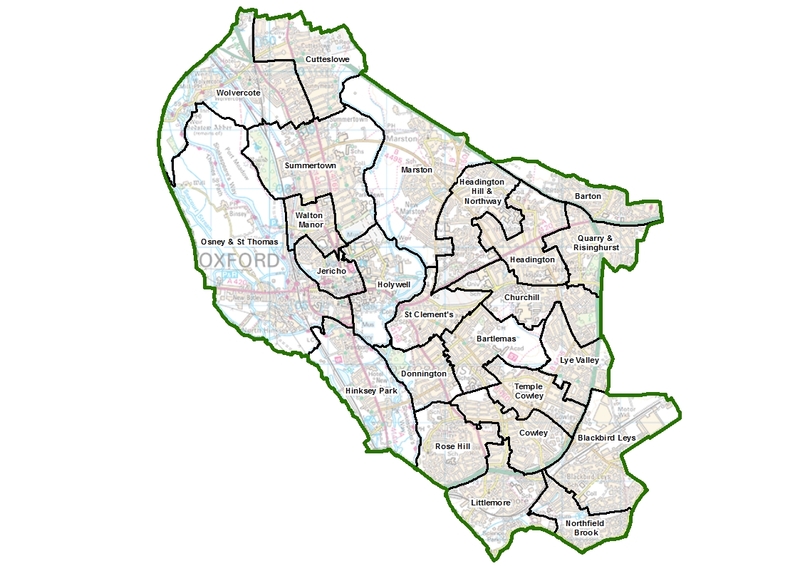 Due to the significance of the proposed changes in south east Oxford, the Commission is now accepting additional opinions and comments (submissions) from local people about the areas affected. The Commission is satisfied with the evidence received for the rest of the City, and is therefore not seeking further opinions and comments (submissions) on areas other than those listed above. The Commission plans to publish its final recommendations for the whole City on 5 February 2019. To view an interactive map of the further limited draft recommendations, visit our consultation area. You can view both the existing and proposed boundaries, and search by area or postcode. The consultation on draft reccommendations for Oxford City Council closed on 13 August 2018. The consultation on the draft recommendations for Oxford City Council has now closed. On 5 June 2018, we published our draft recommendations for the electoral review of Oxford City Council. From 5 June to 13 August 2018, we accepted opinions and comments (submissions) from the public on these recommendations for Oxford City Council. 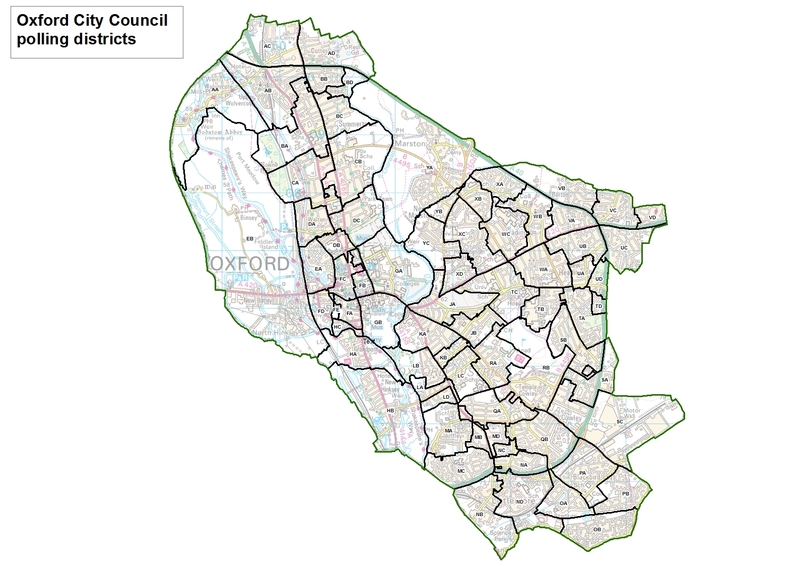 Draft recommendations map for Oxford City Council - please note: this map is very large and may take some time to download. The consultation on warding arrangements for Oxford City Council closed on 2 April 2018. The consultation on warding arrangements for Oxford City Council has now closed. 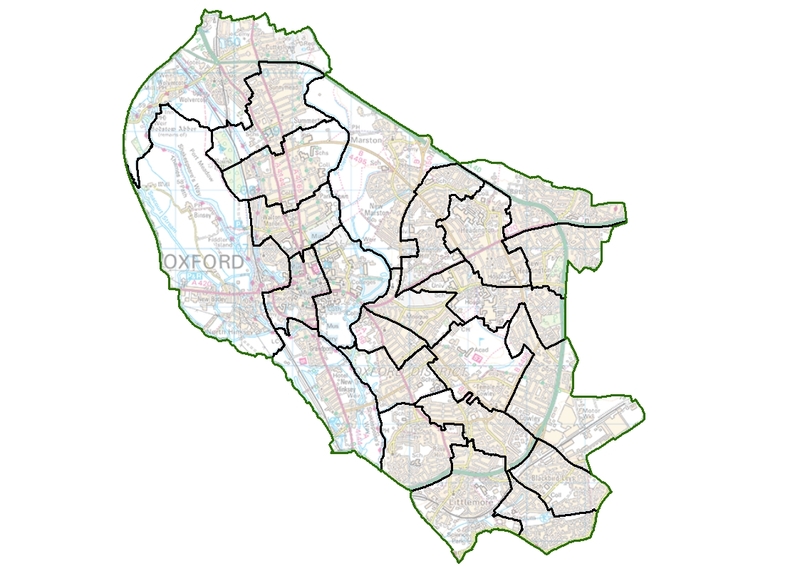 From 9 January 2018 to 2 April 2018, we accepted opinions and comments (submissions) from the public on where they believed ward boundaries should be in Oxford City Council. The Commission is minded to recommend that Oxford City Council should have 48 councillors in the future. This is no change from the current number of councillors. Information on how reviews work is available on our Guidance Page.